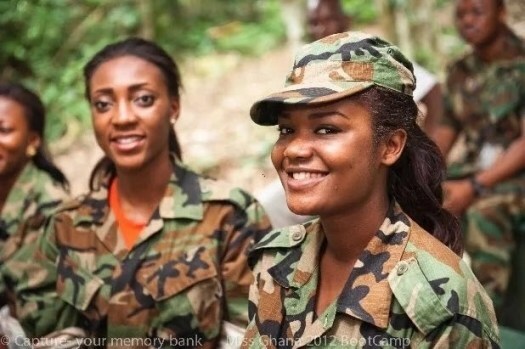 Alot of myths have been spread about women in the military; while some believe they have been made rigid through the rigorous training they go through, others believe they are frigid and can only be dated by men in the same line of duty as them. Below are some of the things you don’t know about women in the military. Women in the military have been trained to be brave and courageous. They are by profession fighters who have been toughened by various phases of trainings. However, the trainings they have gone through haven’t shielded them from the trauma accompanied by love. They have cravings too and desire fulfillment; they want to date and experience love in a beautiful way. The only problem is most men often feel intimidated by the personalities and avoid them. While so many people share an unreal belief about military women being wrecks when it comes to marital bliss, some of them are married and they embrace motherhood with a shocking interest. They are after all normal and have all it takes to raise a family. They put everything they have into use to ensure their children live normal lives. They could be stern and instill discipline in their wards at tender ages. They are regular moms who strive hard to perform their motherly obligations. Most people believe military women are mean and therefore avoid them. They could be excellent friends when people get to know them more. Same way they could be tough and intimidating, they could also be fierce when it comes to fighting for their friends and loved ones. It is misconstrued when people think military women’s problems have been completely solved due to the financial security that comes with their appointment. Nevertheless, they have stacks of responsibilities that go beyond sorting with money. They get weighed down by the thoughts of the risks of their jobs, instability often brought by deployment, affairs that concern their children and spouses. With all these, they tend to vent and exhale; like everyone else. But people get sentimental and believe they are naturally aggressive. Not every woman in the military sleeps around. Many people believe most women in the military are loose and have traded sexual favors for work favors. It is the general perception that there is a major somewhere rocking their boats. Some women in military have dignity and have been able to maintain healthy non-sexual relationships with their superiors thereby maintaining stability in their career. Unknown to the general public, women in military also fight different battles in their chosen profession. The military is still dominated by testosterone while the women struggle to fit in. Failure is always expected when they are given tasks as a result of gender discrimination. It is disheartening for them to know the public also scrutinize them by seeing them as a different entity. Women in military have had their fair share of failures in marriages just like the successes have been discussed. The fundamental problem has still not been addressed. Seeing the women in uniform is a turn on for some men. They appreciate their bravery and get infatuated. At the long run, broken homes and relationships aren’t inevitable. The whole blame is mostly put on the women oblivious to the fact that the military indoctrination didn’t break the relationship. Are men ready to give up their job security and pack up when the women get deployed?